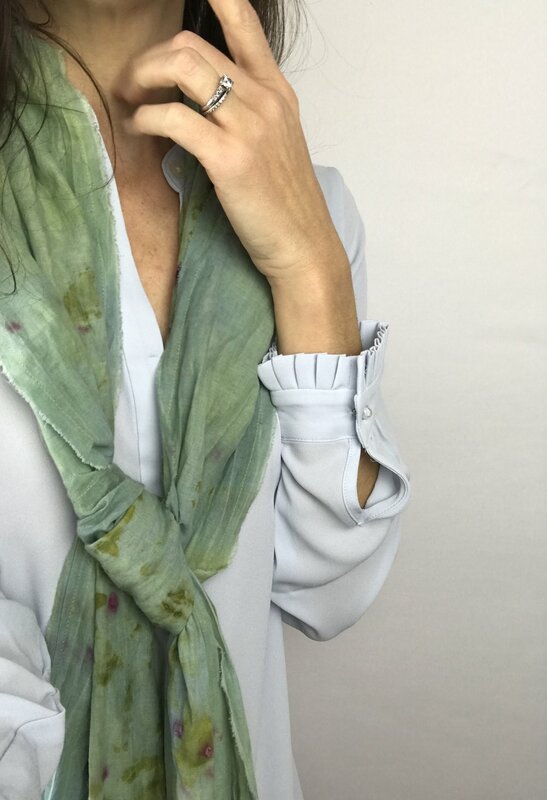 Organic soft, floaty woven cotton stitched into an extra long skinny scarf with raw edges. Two pieces of varying patterns are stitched together for one extra long skinny scarf. Gorgeous tied in a bow or wrapped around your head or neck for a beautiful statement scarf. Hand-dyed with organic indigo, locally foraged VA goldenrod, and eco-printed with cochineal and onion.